I have long been on the hunt to find a flatbread recipe that compares to the flatbread served at Cactus Club. 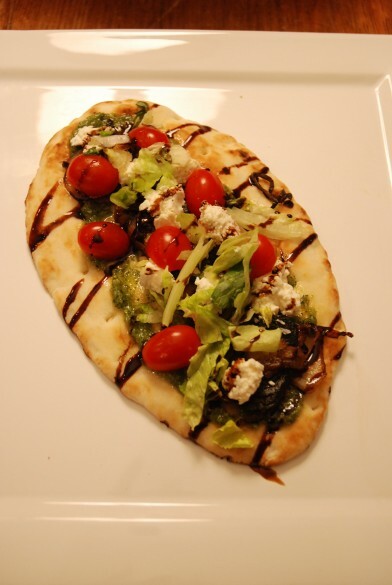 Simply put…their flatbread is darn good! 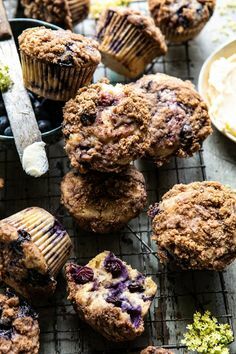 When it comes to food, I’m a follower..of recipes, that is! Don’t ask me to come up with something on my own, but this flatbread took me beyond my borders! This is what I’ve come up with…we served it at our blog launch party and it seemed to be a crowd favorite. Try it and let me know what you think! The best thing: no measurements! 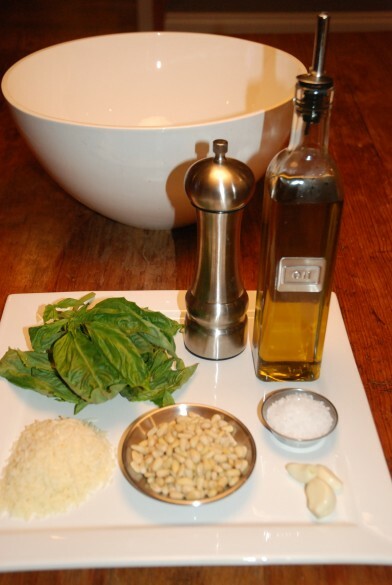 (well, except for the pesto)…add as much or as little of the individual ingredients to suit your taste! 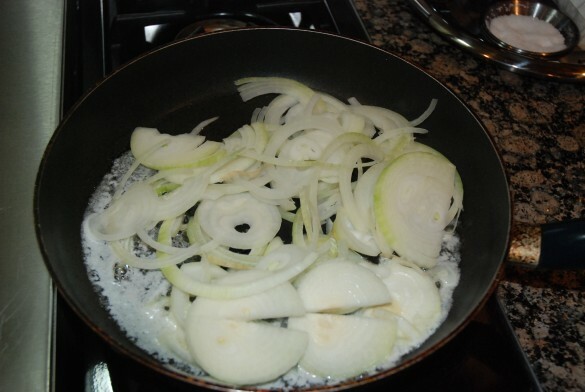 #1 Caramelize the onions– my husband LOVES coming home to this smell…I have to admit, it’s pretty ok! **any leftover pesto can be frozen! 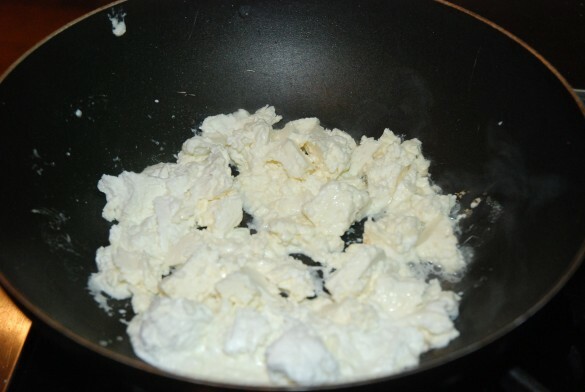 Sauteing the cheese...trust me..it works! #4. Lightly brush the naan with olive oil and heat in oven until warm and crispy. #5 Now, just assemble all your ingredients and you’re SET!! 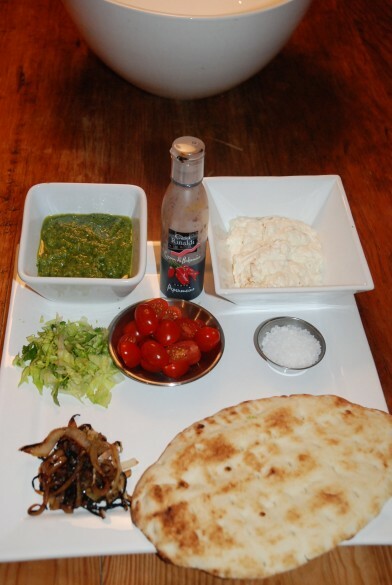 The order I place the ingredients on the naan is: pesto, caramelized onions, salt, cheese, onions, chopped greens and lastly, the balsamic vinegar glaze. Serve as an appetizer, or if you are like me and you want it for dinner (YUM! 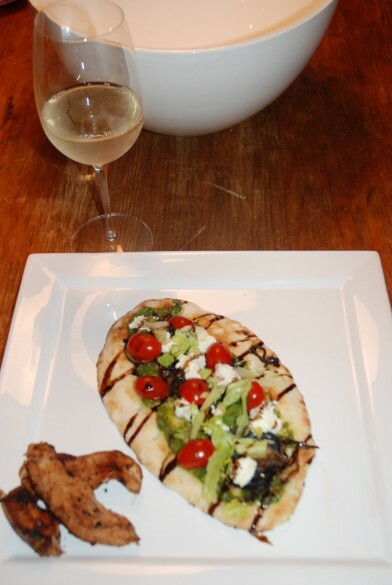 ), add some grilled chicken and a chilled glass of white wine..delish!